South Broken Hill was declared a natural disaster area after the most ferocious thunderstorm the city has experienced in decades caused major damage. 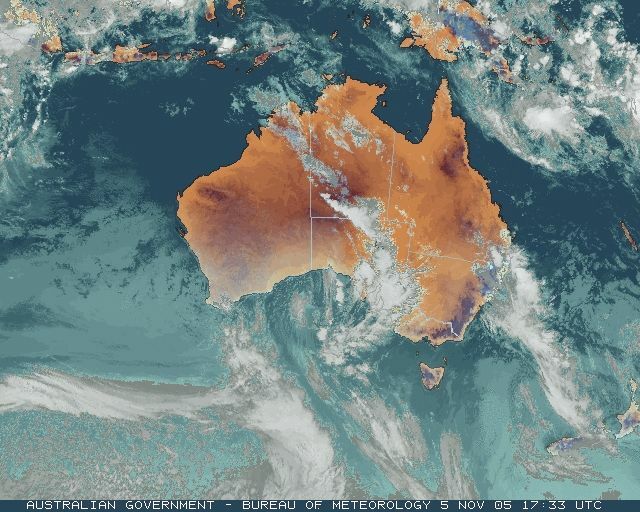 The storm struck shortly before 9pm CDT (Broken Hill, though in NSW, operates on Central Daylight Time), unroofing at least 20 homes and causing severe damage to trees, powerlines and light structures. The city's automatic weather station recorded a wind gust of 106km/h at 9pm CDT before it was knocked out of action, but the extent and nature of the damage suggests much higher wind speeds were reached. The general meteorological situation is described in the article below. Eyewitness reports suggest a tornado may have been involved, and the Bureau is investigating whether this or straight-line downburst winds were the main cause of damage. While damage was widespread across the city, the most severe damage was concentrated across six streets in the city's south. Reports of the number of houses unroofed vary, but it seems at least 20 were fully unroofed, a further 20 or so partially unroofed and up to another 60 received damage. The most severe damage occurred in six streets in the city's south with Duff, Jamieson and Clarke Streets and Knox Lane worst hit according to police. Over 100 people were evacuated from damaged homes to a basketball stadium. Metal roofs, verandahs and air-conditioning units weighing 150kg were thrown hundreds of metres. Stone walls were blown over. The roof of one home was blown 100m. Trees were ripped out of the ground, and there was widespread window damage. Two people had to be rescued from a car trapped by flash flooding. A Broken Hill SES volunteer said there had been a report of "a car lifted from the street, picked up and thrown against a fence". A 4WD parked in gear and with the handbrake on was blown 60m down a road with its wheels locked. Power was cut to about 4000 homes in and around the city as the wind brought down powerlines. Most had their power restored by early on Monday, but a downed major powerline delayed return of service to parts of the city until Tuesday morning and parts of Silverton and the settlements of Topar, Corona and Coombah were still without power late on Tuesday. The SES received over 100 distress calls, mostly from southern and eastern parts of the city and mostly to deal with unroofed homes or debris blown onto property. Additional SES teams were brought in from Sydney and Dubbo. Dramatic and nearly continuous lightning accompanied the storm for about an hour. In the final count, 97 homes were damaged, 36 seriously of which 10 have now been demolished. The Bureau of Meteorology observer at the Bureau's manual station in the city, Phil Mew, said it was the most powerful storm he had seen in the city in 25 years. "From the looks of the damage, it could quite possibly have been a class-one tornado," he told The Australian. "Its ferocity was incredible; it was like a giant hand had ripped the houses to pieces." He recorded 33mm in the storm. A little earlier, the thunderstorm hit the small settlement of Silverton, 25km WNW of Broken Hill. Most of Silverton's population of 50 was congregated in the pub when a section of its roof was blown into the beer garden. The strength of the cold change that brought widespread rain and storms to SA and culminated in tonight's devastating thunderstorm in Broken Hill can be seen in these two charts for 11pm EDT. 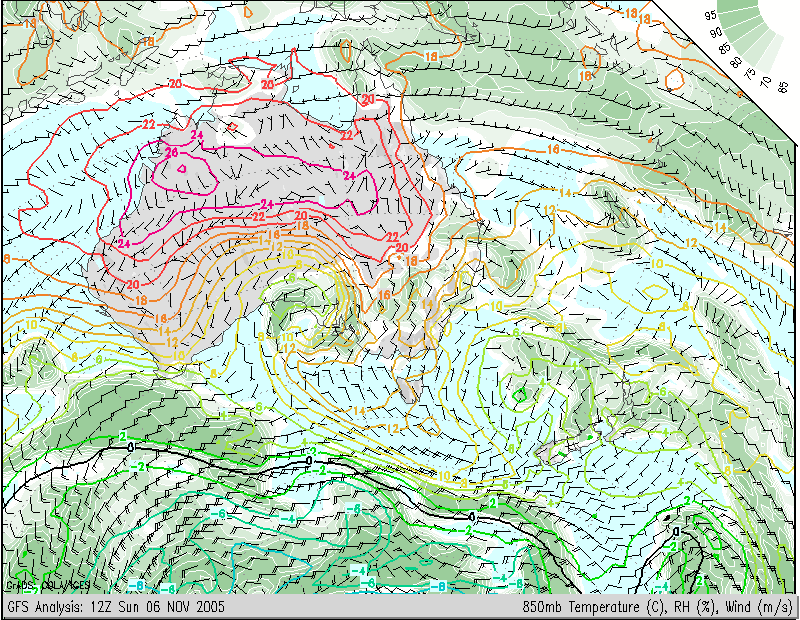 The surface chart above looks fairly harmless with a trough lying through Broken Hill to a surface low near Adelaide. 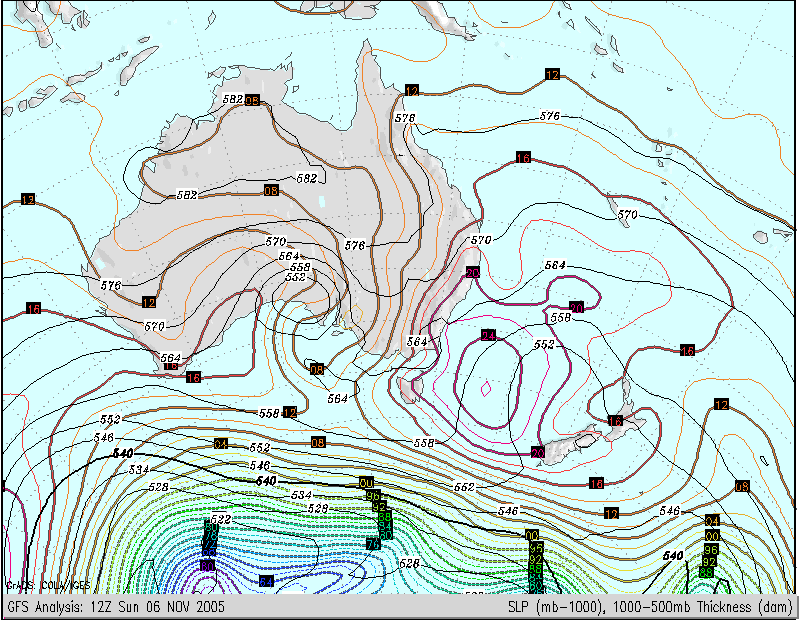 However, the black thickness lines show an exceptionally deep upper low for November over NW Eyre Peninsula. This low extended at least to the 250hPa level in the atmosphere and drew cold air in the upper levels across SA, shown in the 850hPa chart (about 1.4km up) below. The cold pool over the western SA coastline has a central temperature of around 5C, while temperatures in western NSW are above 16C. Note the particularly strong temperature gradient across western NSW. 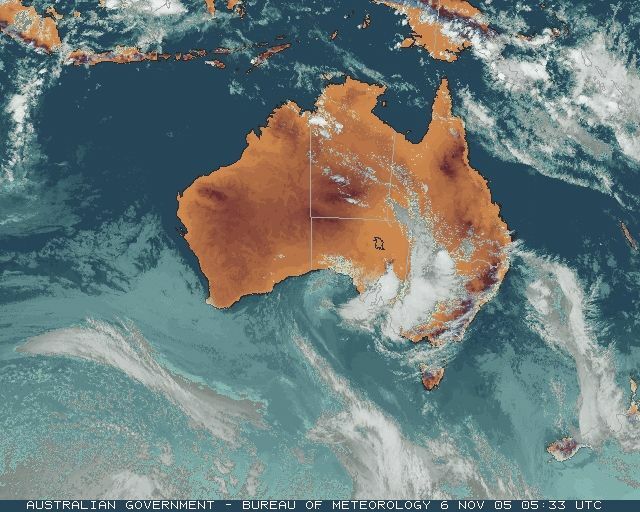 A strong upper low and cold pool moved across the Eyre Peninsula and Adelaide region today, bringing widespread thunderstorms and an active rainband to the state. The upper low and an attendant surface low then became stationary near Adelaide, with rain and storms continuing into Monday morning. Thunderstorms developed in the west of the state on Saturday evening and moved east overnight with a broad rainband which covered most central eastern parts of SA by late this morning. 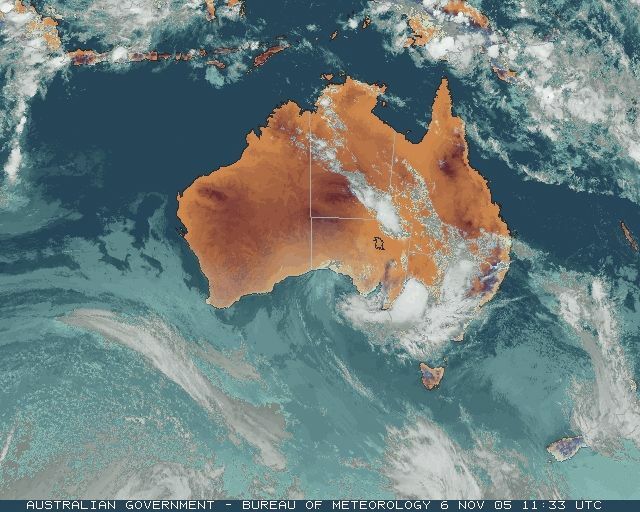 During the afternoon, the circulation neared Adelaide with heavy rain and storms developing around its centre and the rainband in the state's east wrapping around the low and covering much of the state's southeast. 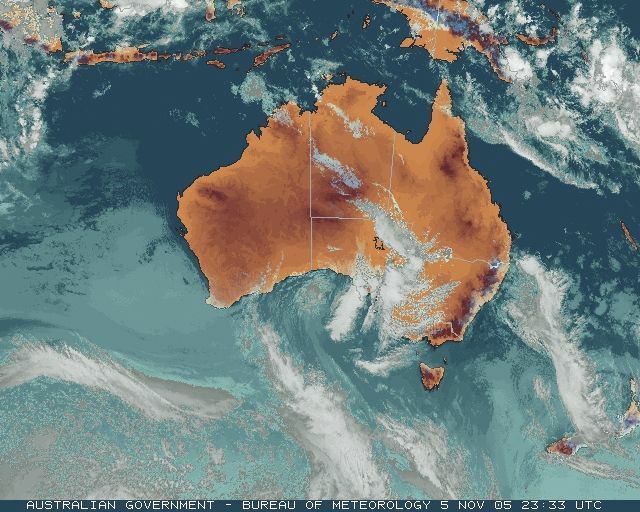 During the evening the main area of storms moved east into western NSW while a separate area of heavy rain associated with the low continued to fall around Adelaide and Kangaroo Island until it moved offshore around dawn on Monday. Cape Borda, the NW tip of Kangaroo Island, managed to be underneath most of the main rain-bearing events. The lighthouse's raingauge recorded 74.2mm for the 24 hours to 9am Monday; its previous highest November one-day total in 136 years was 59.4mm. The nearby AWS recorded 81.2mm. Stenhouse Bay, 60km NE on Yorke Peninsula, recorded 69.8mm while Neptune Island, 60km NW, registered a new November record of 63.8mm. Much of the Mt Lofty Range, Yorke Peninsula, Kangaroo Island and eastern Eyre Peninsula recorded between 25 and 50mm, while the heavy thunderstorms approaching Broken Hill dumped 30 to 60mm around Peterborough in the northeast where Koonamore (110km NNE of Peterborough) registered 63.0mm. Thunderstorms dumped 19.6mm in 55 minutes on Port Augusta mid-afternoon, flooding some businesses on Commercial Road. Inundation of homes to the NW and SE of the CBD was only averted by using sandbags and pumps. On the Yorke Peninsula, hail up to 3cm caused between 50 and 100% wheat and barley crop damage in the Alford/Tickera area north of Kadina. Port Pirie, Port Germein and Terowie suffered blackouts caused by lightning striking transformers or insulators. Over 500 residents in Port Pirie were without power for between 9 and 12 hours, while the lights didn't come on for some Terowie residents until 3am Wednesday. A line of thunderstorms crossed NE NSW and SE QLD overnight and scattered but heavy showers continued in the eastern Darling Downs and on the Sunshine Coast today. There were two weather-related deaths on the roads, and three major roads were closed by accidents, flooding or landslips. The storms and subsequent showers developed in strong, moist and unstable onshore winds, aided by a small coastal trough and the development of local wind convergence lines. Heavy downpours included 37.2mm in the hour to 1am at Toowoomba. In the 24 hours to 9am today, top falls were mostly from the overnight storms and included 88.4mm at Ellangowan (50km SSW of Toowoomba) and 74.8 at Wallangarra (on the QLD/NSW border 15km NW of Tenterfield). In NSW, Tambar Springs (50km E of Coonabarabran) was highest on 75.8. Many locations on the eastern Darling Downs, the NSW Northern Tablelands and Mid North Coast topped 50mm. Today's heavy showers provided some high totals for the 24 hours to 9am Monday, including 129.0 at Howard PO (25km NNW of Maryborough) and 77.6 at Goomboorian (20km NE of Gympie). 75mm was recorded by the Howard flood gauge between 10 this evening and 2 on Monday morning. A man and his dog died when his car was swept off a causeway over Flagstone Creek on the Rockmount Road about 15km SE of Toowoomba about 3pm. Witnesses said he stopped at the edge of the water for 5 minutes, but was then swept away by a flash flood in the form of a 2m high wall of foaming water running down the gully. A youth died and three people were seriously injured in a 5-car pile-up on the Pacific Highway near the Klumpp Road exit south of Brisbane about 4.20pm. The Pacific Highway and Gateway Arterial Road were closed for part of the day by accidents or dangerous conditions, while the main Cunningham Highway was blocked near Cunningham Gap for most of the day by a landslip. Heavy seas on the Gold Coast resulted in a dozen rescues, with lifesavers telling the Courier-Mail conditions were "as bad as it has been this year", with dangerous rips "every few hundred metres". Overnight minima were cool across southern WA. Kalbarri's low of 6.9 was just 0.2 shy of its record low minimum for November in 31 years of record. These records are based on data received as at 2307 EST on 14/08/2006. Help in interpreting these statistics and information on quality control is here. Data is as received at 21:44EST, 14/05/2012.